Growth in much of the rest of the world is stable or accelerating. In Europe, a much-anticipated credit and earnings cycle is underway, while most emerging markets are recovering from their 2015-2016 slowdowns and recessions. In our view, the biggest threat to the global economy is the prospect of the U.S. Federal Reserve (Fed) further tightening U.S. monetary policy. Equities remain the asset class of choice. International equities are more attractively valued than, and likely to outperform, U.S. stocks. Within the U.S., we favor growth companies in an environment where macro growth will continue to be scarce. Long-term Treasury rates will remain low for the foreseeable future and send a message to the Fed to proceed with caution. Emerging market sovereign and corporate bonds offer the most attractive value in fixed income for global bond investors seeking potential total returns. Market cycles ultimately end with tighter monetary policy and the yield curve inverting. We believe this time will be no different. Mutual funds are subject to market risk and volatility. Shares may gain or lose value. 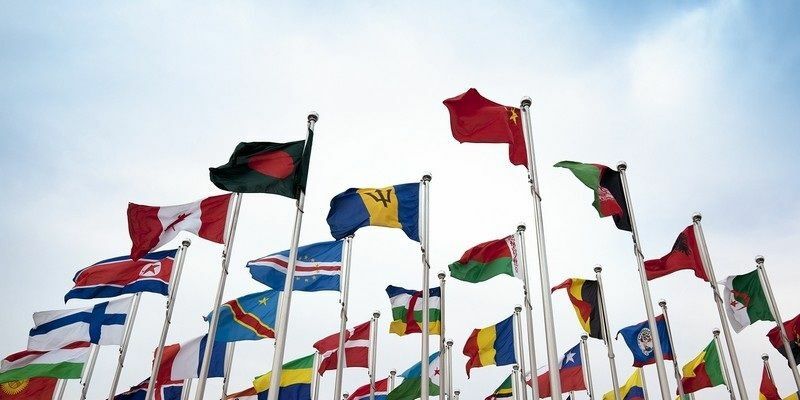 Foreign investments may be volatile and involve additional expenses and special risks, including currency fluctuations, foreign taxes, regulatory and geopolitical risks. It’s beginning to feel like a summer lull out there for markets. But a herd of Fed speakers — including Janet Yellen — could break the pre-holiday spell and deliver a last-minute shake-up as this year’s first half wraps up today. Stocks don’t necessarily deserve a boost, with the Dow and S&P on track for their best first half in four years. And the NASDAQ is flirting with its biggest gain since 2003 (though techs don’t look too frisky in the early going). So, where to invest for the second half? Well, there’s lots of chatter about real estate investment trusts, aka REITs, after yesterday’s news that Warren Buffett has taken a big stake in Store Capital STOR, +0.71%. REITs can yield big profits — but only if you know which ones to buy, say Bespoke Investment Group analysts for our call of the day. “While the shopping mall REITs have been tanking, the REITs that lease out warehouses to tech companies that need space to house all of their servers and cloud data have been surging,” Bespoke’s team says. In other words, tech-exposed and health-care real-estate stocks have had a stellar start to the year and are likely to keep going up. Traditional retail real estate such as malls, however, faces “Death by Amazon” as shoppers shift online. That means investors should avoid that type of building, according to Bespoke. “While there has been lots of brainstorming about what to do with malls that often look like ghost towns these days, we haven’t seen any convincing ideas yet (except maybe turning them into tech data centers! ),” the analysts say. One of Bespoke’s picks also gets praise from Forbes and Seeking Alpha scribe Brad Thomas, who singles out CareTrust CTRE, +0.57% as a “REIT gem” set for relatively speedy earnings growth. As for Buffett’s REIT pick, that’s along the lines of what Bespoke is backing — less than 20% of Store’s portfolio is in traditional retail. Dow ESU7, -0.34% and S&P futures ESU7, -0.34% are slightly lower, while Nasdaq-100 ESU7, -0.34% futures YMU7, -0.26% are showing a bigger loss. The dollar index DXY, -0.02% is suffering, largely because a jump in the euro. The shared currency EURUSD, +0.0000% surged to a two-week high after hawkish noises from ECB boss Mario Draghi. That drove European stocks SXXP, +0.60% lower. Crude US: CLU7 continues to recover and is taking a stab at reclaiming the $44 level, while gold US: GCQ7 is recovering from its “flash crash” yesterday. The sun is shining again on shares of solar-panel makers, which have been through a rough patch. Now they’re rallying, after President Donald Trump said last week he wanted to clad the long-promised border wall with solar panels, to help pay for it by generating power. That helped send the Guggenheim Solar ETF TAN, +1.01% up 8% last week — the best weekly gain since December 2015 — and it continued to rise on Monday. That means it’s now trading at an eight-month high, as this chart shows. Analysts don’t necessarily believe the wall-plus-panels will see the light of day. But it’s a positive development that Trump’s making a pro-solar statement, they noted, according to The Wall Street Journal. Alphabet GOOG, -0.21% GOOGL, -0.34% is getting squeezed today after the EU’s antitrust body slapped the Google parent with a record €2.42 billion fine. Sprint S, +0.24% , Charter Communications CHTR, -1.52% and Comcast CMCSA, +1.11% are said to be in talks to bolster their wireless services. Pandora Media shares P, -1.66% is halted this morning and the rumor mill is going nuts. GM GM, +2.24% are waving another red flag for the car industry, warning its U.S. auto sales will fall short of forecasts. China’s Premier Li is touting the country’s “unimaginable job growth” at the annual June meeting of the World Economic Forum, which started Tuesday. The flurry of Fed talk continues today, with Philly Fed’s Patrick Harker and Minneapolis Fed’s Neel Kashkari on tap. The highlight though is Chairwoman Yellen’s speech in London around lunchtime. On the economic docket this morning are the Case-Shiller U.S. home price index and the consumer-confidence index. See MarketWatch’s Economic Calendar. “If, however, Mr. Assad conducts another mass murder attack using chemical weapons, he and his military will pay a heavy price.” — The White House accuses the Syrian government of preparing to use chemical weapons on civilians, including children. 710% — that’s where Venezuela’s annual inflation rate stands, as the country battles with an ever deepening economic crisis. Professor Steve Hanke from Johns Hopkins University points out that it’s the first time inflation has spiked above 700% in the country since June 2015.